It might surprise people who own a copy of Deadbeat’s celebrated 2012 album (Eight) to learn that on this latest EP excursion the talented producer has opted to explore avenues close to the kind of raw, groove infused tech Mr G. was known for some some 15 years or so ago, only funkier. And that’s by no means a bad thing. 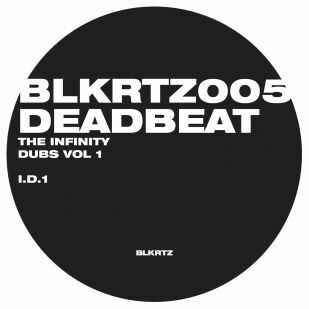 ID1, which opens the short but sweet couplet, shouldn’t alienate anyone, mind, as there’s a wholly 21st Century flavour to the boompty boomp, loose drum patterns. Not quite tight enough to be born of an entirely four to the floor school, whether you prefer that type of beat or not there’s no denying the overwhelming energy that comes from this pleasingly simple offering, consisting as it does of filtered melodic loops and that devastatingly danceable percussive section. Flip it to find ID2, which takes this idea further still, and toughens up, dropping staccato kicks and constant snare shuffles to provide an answer to the A-side’s question. Definitely a keeper then. Jake Cusack’s December Sessions is out now!